Principals, Teachers, Students, Auxiliary staff of learning institutions in Grenada, Carriacou and Petite Martinique, Denominational Authorities, and – very importantly – parents. On behalf of the Ministry of Education, I wish to give thanks to God for another year of life and opportunity as we welcome the new school year and I want to also extend best wishes for a very fruitful and productive year. I trust that you are well rested and ready to face the persistent challenges while also embracing the new opportunities ahead after a long and well-deserved vacation. In the past few months since I assumed the leadership of the Ministry of Education, we have spent much of that time LISTENING and DIALOGUING with key stakeholders in order to ensure that my Government’s vision for education is aligned to the aspirations and needs of all those who are on the front lines in this struggle for quality education for our people. It was the great Indian leader Gandhi who said that we must be the change that we want to see. This process of consultation is a necessary first step in changing the way the Ministry of Education works. For us to be successful in transforming education in Grenada, Carriacou and Petite Martinique, the Ministry of Education must increasingly see itself and become a service centre that is agile and responsive to the needs of the key constituencies that we serve – the schools (students, teachers and principals) and the parents. Additionally, we must forge deep and abiding partnerships with the denominational authorities who have historically played a central role in education and with all sectors of society and economy that depends on us to provide the human capital needed to drive sustainable development of our country. To date, in keeping with this perspective, we have consulted with the executive of the Grenada Union of teachers, principals, teachers, parents, students, education officials, other stakeholders such as the denominational boards, NEWLO, TAMCC, SGU, UWI Open Campus, the National Training Agency, the National Accreditation Board, the National Scholarship Committee, and others. This process of engagement will continue as we seek to build an education system based on the pillars of equity, access, relevance and quality. In this historical period quality education is the most important thing that any country can provide to all of its people and for small island developing states such as ours, this is even more essential for overcoming the many challenges and vulnerabilities that confront us. That is why our administration led by Dr the Rt Hon. Keith Mitchell continues to make education a priority. In the 2018 Estimates of Revenue and Expenditure, the Education budget accounted for 11% of the national budget, a total of $112 million – the largest ministerial allocation. An important challenge facing us in this and coming years is to look closely at how this allocation is being spent to ensure that we are optimizing this huge investment in education and that is why we will be focusing on the quality of learning. This is the core function – if learning is not happening the system is failing; if some are learning and the majority are not, then the system is deficient. Everyone can learn and the pathway to individual mobility and to the upliftment of our families, our communities and our country is to guarantee that opportunity for ALL. In our national medium-term strategic plan, one of our goals speaks to lifelong learning. Our administration has made lifelong learning a priority because we are resolute about our nation’s economic strength and must get rid of the obsolete belief that a quality education begins at age 3 and ends at 18. Everything is changing at a pace that we have never experienced before, and learning is the answer to surviving and thriving in this new environment. Learning is not only about certification and qualifications – it is about the mastery of both big and small things. It is as much about retraining for new careers as it is about mastering simple things like the elderly learning to use email and communicate with family abroad using Skype, Whatsapp and video conferencing. That is why we have started to expand and will be improving our adult education programme – it must take any of us from where we are to wherever we want to go! As daunting as our challenges may appear, we must never lose sight of the many accomplishments that we have secured over the years. We stand on the shoulders of those who preceded us and in order to effectively pick up the baton that they have passed to us, we must learn and be inspired by how they ran their leg of the race. The many programmes established by the Ministry in the past and in recent times must be strengthened where they have worked well, must be continued where they remain relevant, must be redesigned where they need to be adapted to changing times and circumstances. We already know that there are several critical initiatives that must continue and be deepened – these include school repair and modernisation; incorporation of new technologies in education; making early childhood development an early stage priority; broadening the scope of education beyond traditional subjects to embrace soft skills and attitudinal development as well as the new generation subjects that CXC is offering and providing strong support to students to mitigate the impact of poverty on learning and provide psycho-social support such as guidance and counselling. In this journey, there are institutions that we can rely on to provide us with objective indicators of how well we are doing, and it is important that we take a hard look at the picture that they paint. Recently CXC launched its 2017/2018 examination results in Grenada. At this point, I take this opportunity to recognise the outstanding performance of our students in the 4 CXC regional examinations. The review of the results shows that generally, our students performed well. At the secondary level, for example, Grenada has performed above the regional average in 16 out of 33 subject areas. Our national average of 70.5%, the highest since 2010 is commendable. To the teachers, principals, education officials and others who have made sacrifices going even beyond the call of duty – I thank you. I also commend our parents and significant others who lived up to their responsibility and provided the necessary support that their children needed. I now seize this opportunity to call on all parents to take even more seriously the responsibility of guiding and supporting your children. Make them your top priority. I am sure that many ordinary parents today feel extremely proud of the achievement of their sons and daughters. You have a lot to celebrate and to be proud of, but as articulated before, we must never be satisfied with our achievements if in the process we leave some of our boys and girls behind. We must urgently address the problems facing our boys in particular. The statistics are startling. A review of the trends indicates that over the years while far more boys sit the primary exit examination far fewer boys than girls graduate from secondary school at the end of the 5 years. We cannot close our eyes to this worrying trend. Additionally, we note the number of students who did not obtain 5 or more passes in the regional examination. That too must be addressed! In addition, our unacceptable performance in Mathematics and English needs urgent attention. Already, steps are being taken but we must intensify our actions. We must work towards ensuring that no child is left behind. My friends, a focus on learning cannot be an abstraction. A focus on learning must also involve a focus on schools. And that focus on schools must be integrated. We must look at the physical conditions of schools and their impact on learning; we must be aware of the quality of management as this often makes the difference in how well a school performs; we must also look at the staff. There are existing initiatives that will help us to move faster in this direction. 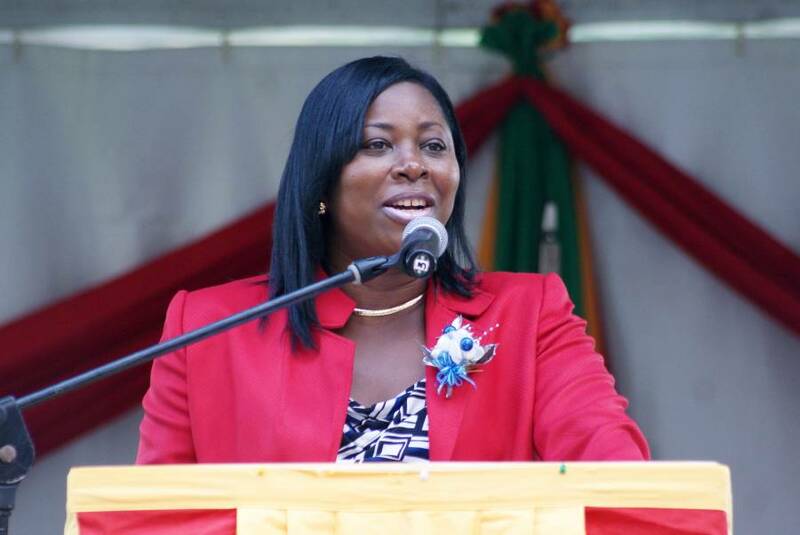 The Grenada Education Enhancement Project, funded through the Caribbean Development Bank, will help us to begin infrastructural works on selected schools in this school year. This includes a new school for St David Catholic Secondary, St Andrew Anglican Primary School and Grenada Christian Academy. Additionally, major civil works are expected to commence in a matter of months on other schools such as Bishop’s College in Carriacou. As we expend millions of dollars on building and upgrading our infrastructure, we must also focus on the process of teaching and learning which is key to performance. That is why the ministry will soon release the standards by which we will measure and recognise outstanding performance in the education system. These standards will be set for students, teachers, principals, officials and schools. We must move away from the traditional narrow definition of ‘good school’ which judges this simply by performance in regional examinations, or accolades received for outstanding performance in sports. Determining what makes a good school must involve a more holistic understanding of all of the key characteristics that support good teaching and learning and strong self-development of students. Allow me to quickly review some of the things that we have done over the long vacation period to prepare for this new school year. 31 Curriculum workshops were conducted in August as part of the ministry’s strategic intervention in critical core areas of the Curriculum for teachers in Grenada, Carriacou and Petite Martinique. Some of these teachers participated in the Framework for Action on Mathematics Education which focuses on the Teaching and Learning of Mathematics at the Primary and Secondary Levels. This we hope will begin to bear fruit in the not too distant future, as we seek to turn around the trends of performance in mathematics. To complement this, we have recently started mass training of teachers, principals and education officials. A cohort of 20 Special Needs Teachers was enrolled in an undergraduate programme based on our intention to place greater emphasis on special needs students. For the first time over 50 TVET instructors are starting a 2-year programme at the Teachers College. This year 53 teachers are being admitted into the teacher education programme at TAMCC to pursue the Associate Degree Programme in Teacher Education. This is a significant investment in our teachers as research indicates clearly that teacher professional development leads to an improvement in student achievement and is an important step in the forward thrust towards the professionalisation of the teaching service. Additionally, one day will be set aside in the month of October for teacher’s professional development, in all schools in Grenada, Carriacou and Petite Martinique. As we move forward, I appeal for patience, I appeal for creativity and flexibility as we work together to make it happen. For what we do, we do not just for the children, but unto God. Since assuming this position I have noted public perceptions of the Ministry of Education. While I believe that some of the views expressed may not always be a true representation of the reality since there are many strengths but let me admit that we do have many weaknesses and shortcomings. Our focus in the coming months will be to work hard at addressing our weaknesses and changing the perception of the general public. So, the idea that the ministry has discontinued the school books programme is totally false, but I can understand why many are of this view. We have failed to follow through in many cases on the system for management of this programme and have not sufficiently held persons accountable. This perception will not change until we improve the current management systems both at the Ministry and in some schools. This is absolutely necessary to be able to justify spending $2.6 million on school books this year. During the month of September, we will roll out our 1-year plan during which time we will work with the OECS Commission and the Caribbean Development Bank as we have already indicated to them our need for technical support in developing a long-term strategic plan for the education sector. We will begin training close to 50 members of staff in regionally certified customer service programmes while at the same time holding a series of workshops for all senior managers in the Ministry of Education focusing on our vision, our purpose, leadership and management. This month we will also appoint a National Advisory Committee and the Education Review Board as mandated by the education act. We are committing to reviewing the way we do business. I again appeal to all concerned for your full support and your patience. Change will not come overnight but we are fully aware that time is critical and that bold decisions will be necessary. Working with the Union to make good on our collective agreements. As we look ahead, I call on the general public to give more support to our schools. I also appeal to the private sector to invest more in education as any investment made in education is guaranteed to pay back great dividends for many years to come. In closing, I take this opportunity to also commend and express gratitude to the Permanent Secretaries and staff of the Ministry of Education for the support provided to Minister Moses and me, and for your commitment and sacrifices over the years. So, on behalf of all of us, the entire staff, best wishes for a successful 2018/2019 school year to all principals, teachers, students, and support staff in every learning institution in the state of Grenada, Carriacou and Petite Martinique. Let us work towards making every school a school of choice where every student succeeds. May God grant us all the wisdom needed to make the right the decisions and the courage to implement the changes that are necessary to facilitate the development of global citizens in the pursuit of their full potential through lifelong learning.